Planning a long trip into the wilderness? Or do you simply want to be prepared? 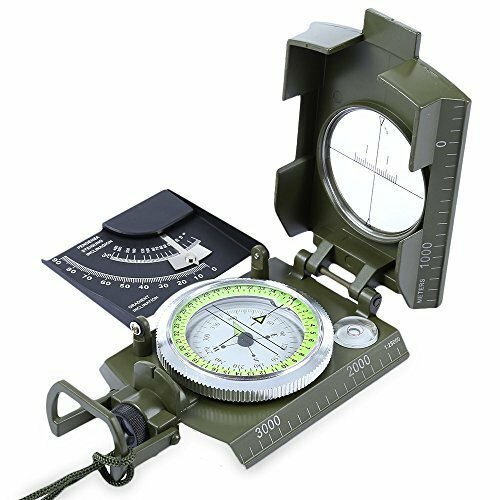 Get ready to dive deep and learn everything you need to know about survival compasses! 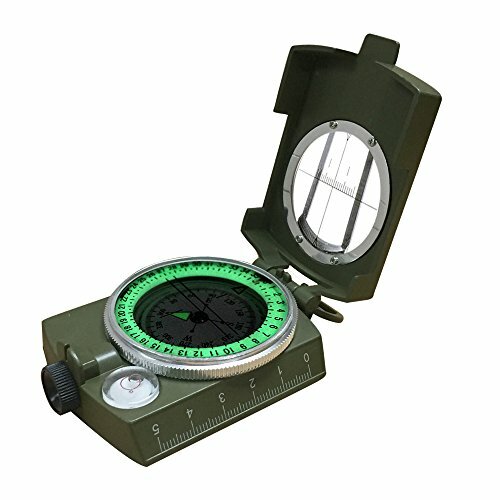 How Do You Choose the Best Compass For Survival? When it comes to hiking or camping, the last thing that you really want to do is get lost. So having one of these guys on hand can help you immensely and show you where you ought to go. However, research is important, as there are a lot of crap products out there, so navigating the storefront of compasses at your disposal can be a journey in and of itself. What you need first and foremost is a good one that is highly durable so you don’t have to worry about it breaking. Learning the difference between a Global and Hemispheric one can work great as well. Just make sure that you get a great one to fit your survivalist needs and that isn’t inaccurate with its readings. Lensatic vs Mirror: What is the difference? 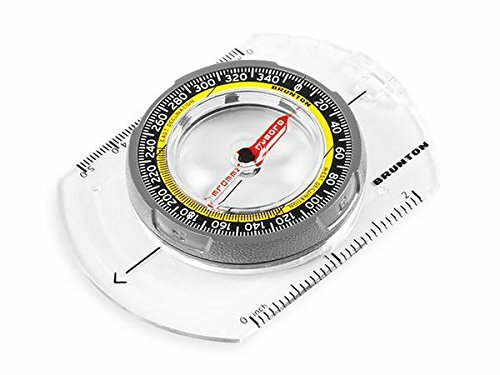 A mirror compass helps you to use a sight and still be able to see the needles at the same time, while a Lensatic helps when you are trying to go off the beaten path. Lensatic helps a ton when using it for maps, while you can use the mirror one to signal for help, etc. 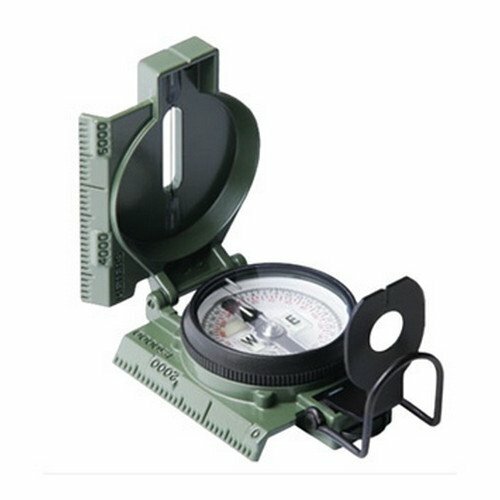 A good compass is one that will fit well in the hand without feeling too heavy if it sites in your pack for too long. It is good to remember that this will probably not be the only thing that you are taking with you, and every small amount of weight will add up over time. This can, when combined with everything else that you are bringing with you, cause strain on the back and shoulders. So it is good to get lighter products whenever possible. Nothing is worse than having one of these guys and having it fall into the water and become unusable. That can be dozens, if not hundreds, of dollars down the drain. Nobody wants to feel as if they are wasting money, and when you are out and about, chances are, you will run into the water at some point on your trip. Be it rain, a river, a spilled glass of water, etc. So make sure when you are seeking to buy one of these, that you make sure that it is waterproof. Having one of these that is not only easy to pick up, but also small, is best. Some of these can be pretty large or weigh upwards of several ozs. While this may not be an issue by itself, when you are camping in Yosemite or hiking in the wilderness, storage and weight of each individual item build up. So it is great to not put too much strain on yourself if you do not have to. You want whatever you are buying to have able to withstand the elements and to do that, it is good to know what it is made out of. For instance, some of these are made out of aluminum, some steel, and some a zinc alloy. Each of these changes the solid structure and how they react to the world around them. An adjustable arrow can help with adjusting for magnetic declination. This is because although the north on a map in the geographic north, the arrow points to the different location called the magnetic north. Being able to adjust the arrow is simple and allows for a correction of the declination. For instance, Colorado has a 14 degree difference between the Magnetic North and the Geographic North, so it is best to be able to adjust the compass by 14 degrees in order to point towards the true north. A floating needle is a needle that is literally floating in a water. The needle floats and remains buoyant in the water so that nothing prevents it from turning towards the magnetic poles. You can do an experiment likee this by using a cop of water, a piece of paper, and a sewing needle. This is why the water is needed in most of these. This is a very vital function as if one of these bad boys is broken, it is useless. Durability changes depending on which you have, while some being made of aluminum, some zinc alloy, some steel, and a few made of cheap plastic. If you are going to spend a large amount of money getting a high-end compass, you are going to want it to last for many years. Day And Night: Does it matter? When you have one of these, one thing that you want to do is be able to see the dials at night. While this may not matter for most people, who will probably not be traveling at night, it is important for some. This is why some of these come with either a backlight or fluorescent paint that glows in the dark. This may not come as too much of a shock, but on researching for this post, I noticed that a lot of people care where their compass comes from. They claim that one coming from Finland or the US are much better quality than ones that come from China. So because so many people cared about the locations, I decided to include that in. The Cammenga is pretty high end, not just in terms of quality, but in terms of price as well. However, with that price point comes a fair amount of features. For instance, the frame is made up of aluminum, making it fairly durable and able to last a long time, while also not making it all that heavy. This fella is 9 x 6 x 3 inches and weighs only about 6.3 oz. This also has a magnifying lens, which can help you read things larger, or even start a campfire if you need it to. A sight wire is available too, just in case you want to increase accuracy. It is balanced for the Northern hemisphere, so if you want to take it down south, you might need to do a couple of adjustments. This product was made in the US. Yes, it is! This one is tightly sealed, allowing for not only no water to come through, but also to keep sand out as well. Sometimes, sand can get into the crevices and prevent it from working properly, but you do not have to worry about that this. It can also be used in temperatures as high as 150 F and as low as -50 F, so no need to worry about even the most extremes of temperature. Yes! The arrows have a laminating paint on them, which absorbs sunlight and allows you to use the compass, no matter how dark it is. However, you do need to leave it in some kind of light, otherwise, it will not glow. The main issue is with the precision and accuracy. It has been known to be off by about 4 degrees. While this may not affect much, it is good to know. This is one of the lower priced ones on the market, but that does not mean that it is low in quality. This aluminum alloy one has a floating needle, meaning that it is submerged in water for better accuracy. The bezel can rotate, and the cover has sight lines for better accuracy. It is pretty small and light, the size being 3.5 x 2,16 x .77, and weighs only about 5.7 oz. You are able to attach it to a tripod, which can improve stability and accuracy as opposed to simply holding it. Yes, it is tightly sealed as to keep water out. Meaning that no matter if you accidentally take it with you swimming, or if it is raining heavily outside, you do not have to fret about water damaging the inside. Yes, it has fluorescent pain in order to help you see where you are going, no matter what time of night that it is. As mentioned before, it does need to absorb light before it is able to glow. A few people that I have seen complained about its lack of ability to open all the way flat when using a map, etc. Another potential issue is that it was made in China, which many people categorize as “cheaply made,” although this one does not seem to be so bad. This is the cheapest of all of the ones listed here. However, that does not mean that it is cheaply made. The casing is a Zinc Alloy, which is slightly stronger than Aluminum but can be slightly more expensive as well. It has a bubble level, which allows you to set it down straight on a table for enhanced accuracy. There is also an adjustable magnetic inclination, to help you adjust it to the hemisphere you are on. It is 2.5 x 2 x 1 inches, but it is 8.2 oz, meaning that it is rather heavy for its size, and for one of these as well. You can change the magnetic inclination so that it points more towards the geographic north as opposed to the magnetic north. As the name suggests, it is 100% waterproof. So you can drop this in water without having to worry. Yes, this product comes coated with a fluorescent paint, so you can see which way north is, even if you are in the dark. The major issue that I have heard is that it can be as much as 5 degrees off. Another one is that the bezel ring can become fairly loose and wobbly over time, which can also lead to inaccurate readings. This one also has a bubble level, which can help with accuracy. It is made out of a zinc alloy, making it rather durable and long lasting. The size is 3.74 x 2.56 x 1.18 and weighs a whopping 10.9 oz. This makes the heaviest one on this list. It also comes with a small carrying bag and a lanyard to hand around your neck if you need it to. While it is shockproof (It is able to withstand impacts, such as dropping it) it is not waterproof. It does claim it is water resistant though, which should be good for most water-related conditions. This one actually has a backlight, which works well for keeping it lit up at night. This works a lot better than the luminescent paint, as you do not need for it to absorb sunlight in order to light up. In terms of functionality, there does not seem to be any huge issues with this one. However, it is fairly heavy for a compass, which, as I mentioned before, can be highly detrimental when it comes to carrying it around for long hikes. In contrast to the last one, this fella is the most expensive of them all. This also seems to be the largest one too, which is odd, given its weight. Iy is 12 x 7.5 x 2, but only 2.4 oz. It is able to be adjusted depending on what hemisphere you are in. This one even comes with a lanyard to help you to bring it wherever you go without it getting lost. The cover has a mirror, which helps you to be able to use a sight and still see the needles at the same time. 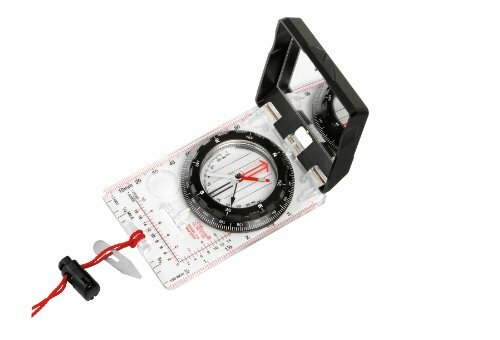 It also comes with a clinometer, which works well at reading maps. I would give it the top pick of all of the ones here, as it is very well made and usable for many things. Yes, it is both water filled, as well as waterproof. This means you can take it with you even in the heavy rains. The points are laminated, which helps a ton when you are hiking or camping at night. So long as the tips get enough light absorbed during the day, it will faintly glow, and show you the right way. While there was not much in terms of functionality issues, some people have complained that this product was made in Taiwan/Indonesia. While it seems to be a well-made product with little issue, some people might dislike the location of manufacture. This is one of the lowered priced ones that come complete with scales on either side to measure in either inches or cm. It is very light, at 1.1 oz and is only 2.5 x 3.5, making it perfect for bringing with you to go on a hiking or camping trip. The small weight and size should be great for just about any trip you plan on taking. It even has a lanyard that comes with it to keep it from getting lost during your travels. This guy is global, meaning that it works regardless of which hemisphere you are on without much adjusting. So it’s great for people all over the world to use. This would be my top pick for a pocket-sized compass, as since it is so small it can fit pretty much anywhere. It is indeed waterproof. No no need to fret over heavy rains. No. This one does not come with any form of glowing arrows or anything. I guess you can say it leaves you in the dark. The main issues with this come from the fact that is fairly cheaply made, as well as being cheap. It can be drastically off the mark, which is something that you definitely would not want in a compass. It is also not very durable as well and is made out of plastic. There is also no nighttime lighting, so you can’t really use it in the dark unless you have a flashlight of some kind. The bezel turns, so there is that, but many people highly suggested the much later models. This one is pretty medium-priced, so it should fit pretty much anyone who wants a mix of value as well as quality. 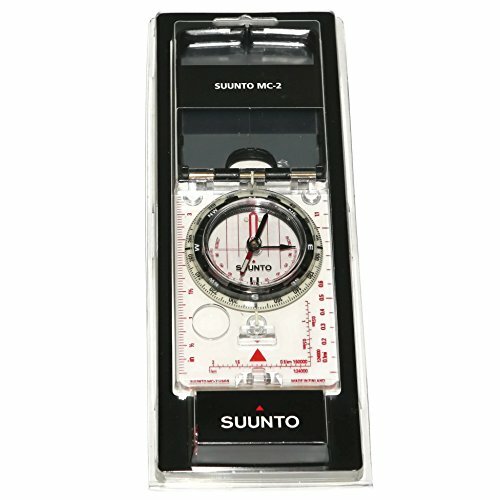 It is a mirror compass and comes with a clinometer. While it is hemispheric, it allows you to adjust it in order to pick which hemisphere you are in. This bad boy is fairly small, at 1.7 x 5 x 3.6 and weighs only 2.56 oz, which is great for just about any camping trip. It even comes with a lanyard, so you can place it around your neck for safekeeping and easy handling. This one is made of high-grade steel, making it highly durable, allowing it to last for a good long time. It is also made in Finland, which many consider being high quality. It is not waterproof, but it is water resistant. While you may not want to go swimming with this, a spill or slight drizzle should be perfectly safe. This is another one that leaves you in the dark. Nothing that allows you to see in the dark. This is very durable and is meant to last a long time, so there does not seem to be that much in terms of functional issues.. However, it has been known to have issues with snapping shut. The other issue would be something we have touched upon earlier: that it does not glow in the dark. 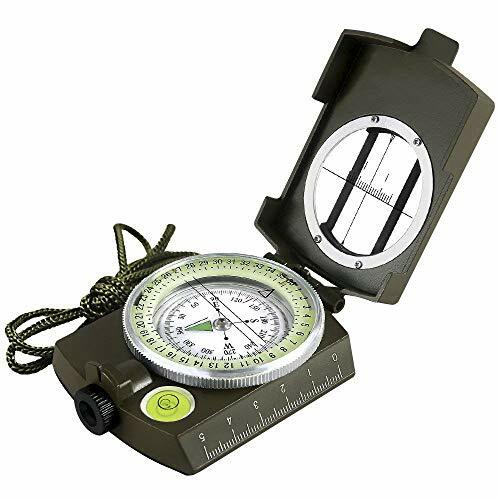 A compass is highly valued for just about any hiker, backpacker, or camper. It can tell you where to go and keep you from getting lost, especially when combined with a map. However, it is good to make sure that the one that you get is of decently high quality. My favorite out of all of these was the Silva Ranger. Despite it being the highest priced one on the list, it was also the most useful, and the most durable. Think of buying one of these as an investment. You want it to last for many seasons, and work with you for a good long time. Suruval Backpacks: Which is Better For your Needs?